Last week was shopping research day with my boss. Yes, work. Anyways, we stopped by Melrose and were on our way to La Brea when I saw this girl standing outside Resurrection. 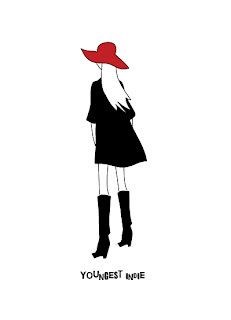 She was wearing a black dress, black boots, and a big floppy red hat. I loved her style. I haven't been well lately. I don't know what's bothering me so much.